Considering all the tasks a mom does, it may not be surprising that more than 40 percent of mothers feel overwhelmed during tax season, according to a new survey of 1,000 moms commissioned by H&R Block. Their largest source of anxiety when it comes to the process of filing their taxes is potentially owing money on their tax return (34 percent). Lynn Ebel — tax attorney, director at The Tax Institute at H&R Block, and mother of two — shared her hard-earned advice for busy moms who still need to file their taxes. According to the mom survey, more than two in five moms feel overwhelmed during tax season and their largest source of anxiety about filing their taxes is owing money. The good news, according to Ebel, is that families with children under 17, especially those who claim the standard deduction, are most likely to get a refund bigger than anticipated, unless they had updated their withholding with their employer at the beginning of the year. “That’s because the child tax credit doubled to $2,000 per child and more families will qualify for it. Fifty-one percent of moms surveyed didn’t know the child tax credit had changed, so this could be a pleasant surprise,” said Ebel. Together, four in 10 moms said the largest sources of anxiety are gathering the necessary documents and filling out their actual tax return. Every year, 150 million Americans file taxes and 97 percent of them rely on some type of help. Moms’ needs evolve and so does the kind of help they need and how they get it. Ebel advises that organizing the necessary documents can make tax prep progress more smoothly, and checking the documents against last year’s return or a customized tax prep checklist can help moms make sure they aren’t missing important documents. “You can create your own tax prep checklist at hrblock.com/checklist. Remember you’ll also need information that’s not coming in a tax information document, like SSNs for your kids and their daycare’s tax identification number,” said Ebel. Taxes are a source of anxiety and stress. Ebel points out this year in particular, moms are worried about how they are impacted by tax reform and what it will mean for their tax refunds. To add to the stress, the tax industry has been slow to evolve to consumers’ needs. A stressful topic and a stodgy industry have created a bad experience for many consumers. In an H&R Block office, consumers have three simple steps to know the price before they begin. First, they can determine the base price that matches their personal situation, with categories like W-2 income only, or are paying student loans, are a family or a homeowner. Next, they can determine if they need to file any state returns. They then review a list of what happened in their life during the year. At that point, clients will know their price to have their return prepared. Doing their taxes may be one more anxiety-inducing item on moms’ overwhelming to-do lists, but Ebel says the upside is significant. It’s not just the chance to get the most out of their tax return, but an annual touchpoint to look at their whole financial picture and plan for the outcome they want next year. “The key is getting the help and support you need. 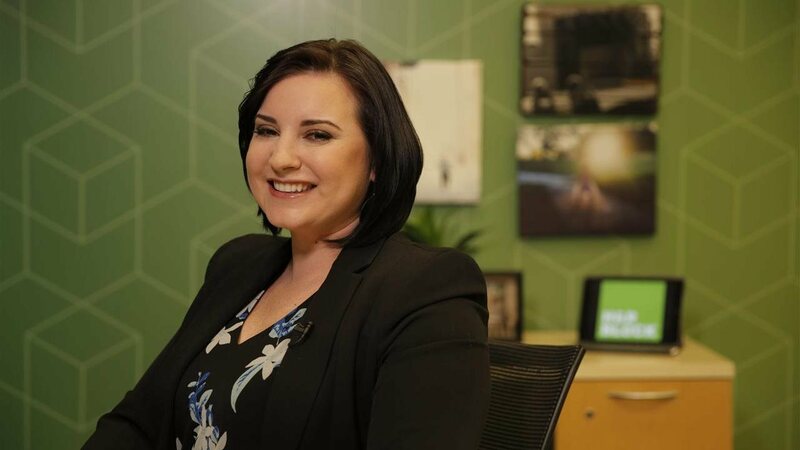 When you’re a mom, the same things might not work for you anymore and that’s OK. At H&R Block, we can help you how you want and need,” said Ebel.